Brush a nostalgic tear from your eye with our retro round-up. 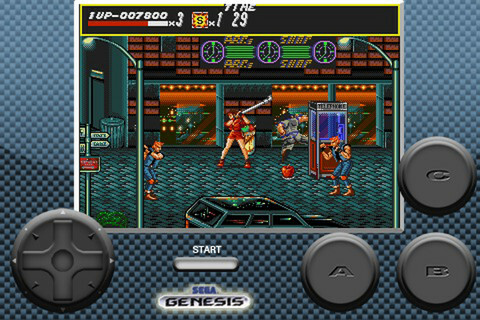 Android users may get the best of the emulation scene, but if you prefer to game on an iOS system and like to keep it legit, we've rounded up some of the best SNES and Genesis games of yesteryear, all of which are available to download from the App Store now. Considered by many to not just be one of the finest RPGs ever made, but one of the finest games of all time, Chrono Trigger is a must for all iOS gamers, whether you played the game when it first launched, or whether its unveiling was before your time. 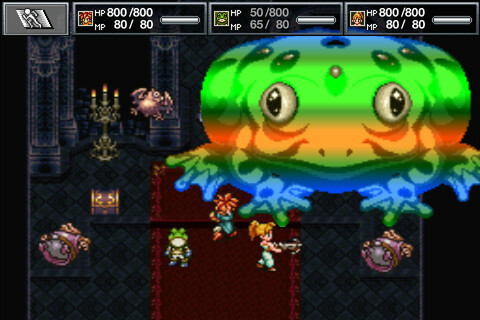 From the team behind the epic Dragon Quest series, Chrono Trigger is an epic RPG journey that introduced revolutionary time-travel mechanics. 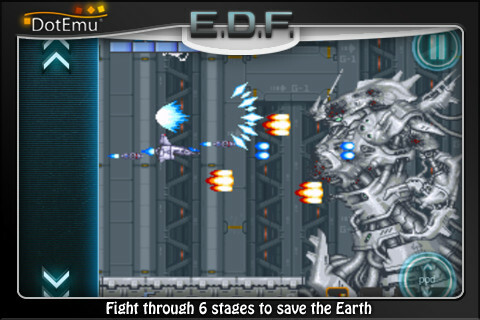 This iOS version also includes the additional material provided with the DS re-release. Pricey, but worth every cent. 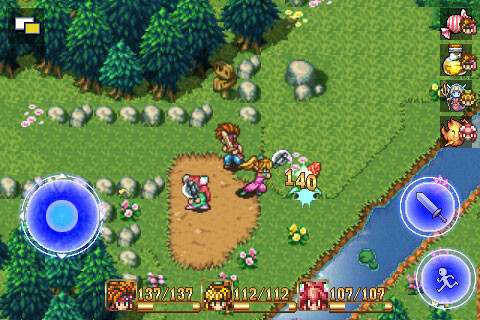 A beautiful game that's cited by both developers and fans alike as an all-time favorite, Secret of Mana is yet another must-own iOS port. The game was unusual for the time in abandoning the more typical turn-based strategy systems of RPS of the time in favor of action. Drop-in and drop-out cooperative multiplayer only added to an already incredible single-player experience. This classic horizontal shooter consumed many an hour on the Super Nintendo, and this critically-acclaimed port should satisfy any cravings you might have to relive your glory days fighting the alien armada. This port features a number of game modes from training to full arcade experience, and also offers a selection of control methods if you prefer v-pads to tapping. But of course, how could we forget the famous hedgehog who shot an unexpected blow at Nintendo's dominance of the mid-90s? He never quite managed to toppled our Italian plumbing friend in the battle of the consoles, but he still has a place in many gamers hearts. If you're one of those people and you also own an iPhone or iPad, then the great news is that the original game is available to download right now. If one game isn't enough to satisfy your appetite, then SEGA has also released a few other Sonic titles for your enjoyment. It's hard not to imagine that SEGA would have had higher expectations for Ecco than the success achieved when it launched back in the day. With a focus on exploration, rather than the more typical platforming or action gaming of the time, it was perhaps a little too ahead of its time. 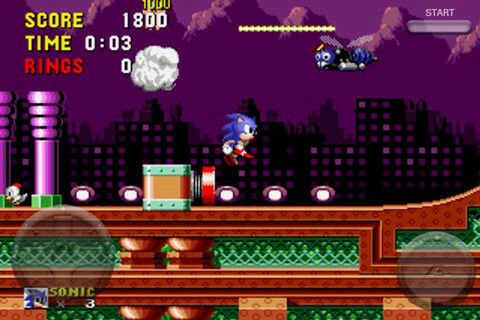 The game was fantastic nevertheless, and everything from the original version is included in this emulated App Store release. 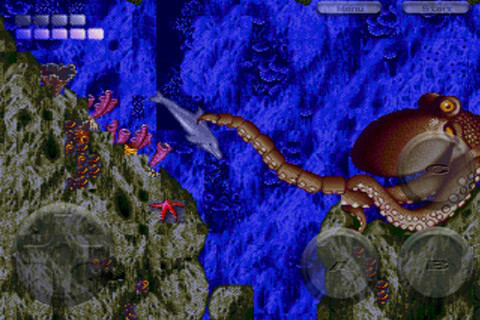 Prepare for a tear of nostalgia as you take Ecco on an epic journey across 25 levels, using his sonar skills to unravel the mystery of the storm that took his family, and to communicate with the other denizens of this beautiful sub-marine land. We can still remember the riot the original Streets of Rage caused on release, right at the boiling point of the SNES vs Genesis debate. Brutally violent for its days, it had no shortage of moms and dads wringing their hands over the terrible entertainment little Johnny was being exposed to. Never mind. Once you've selected your warrior of choice from a team of renegade cops, you embark on a violent mission to clean up the city once and for all.